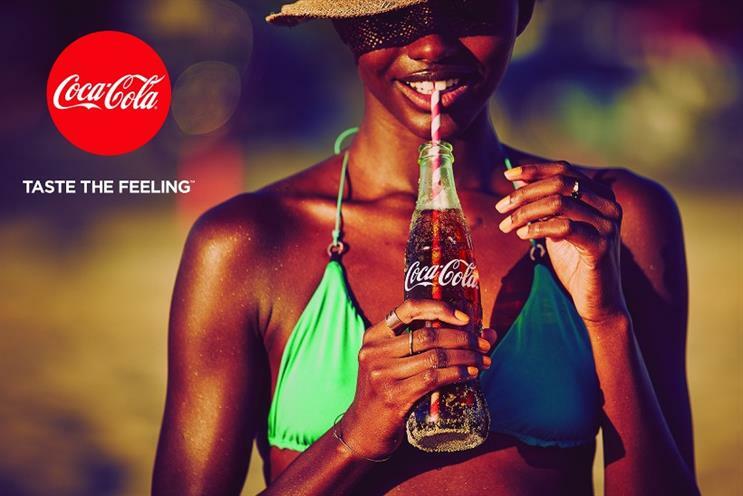 Coca-Cola has launched its biggest marketing campaign in a decade, uniting its four brands under one new tagline: 'Taste the Feeling'. The soft drinks giant will ditch the different brand personalities across Red Coke, Life, Zero and Diet/Light Coke. Instead, all four brands will be marketed as Coca-Cola variants, the first time this has happened under one global campaign. Coca-Cola trialled this 'one brand' strategy last year in a number of markets, including the UK. Chief marketing officer Marcos de Quinto explained: "This strategy of generating sub-brands, rather than variants, has created distortions in the main brand. "The different brands have sometimes contradicted the personality of Coca-Cola. Creating brands for different people with different personalities undermines completely the fundamental Coca-Cola brand promise." In other words, marketing the new Coca-Cola Life to a sophisticated, predominantly female consumer suggests that the original Coca-Cola is no longer inclusive of that audience. Tellingly, de Quinto added that the sub-brand approach was "not optimal" for sales of Coca-Cola's low-sugar brands. Coca-Cola has come under fire for its role in rising obesity and diabetes rates, with de Quinto playing up the firm's moves to produce low-sugar options during the new campaign's launch. He said: "We are able to have, in the market, versions [of Coca-Cola] with zero sugar, something that's more difficult for other members of the [food and drinks] industry. "But we don't feel that's enough, and that's one of the reasons we have shifted our strategy. We want to keep on accelerating." The company has commissioned five launch ads for the global campaign, which replaces the seven year-old Coca-Cola 'Open Happiness' campaign, and a further five ads that will be introduced later. A spot called ‘Anthem’ will run in all markets and is built around a series of moments, such as ice-skating with friends and a first kiss, linked by a Coca-Cola. It features an original song, written for the campaign, and a new audio signature that will be used throughout the campaign. The launch spot in the UK is ‘Brotherly Love’, which focuses on a squabbling older and younger brother before the big brother comes to the rescue with a Coke. In addition ads will feature more than 100 static images shot by fashion photographers Guy Arch and Nacho Ricci, capturing people around the world enjoying Coca-Cola in a variety of everyday moments.